We’d love your help. 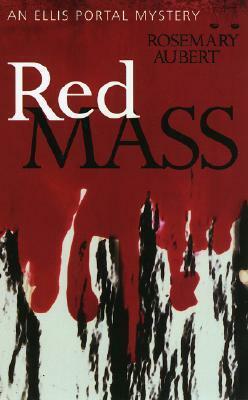 Let us know what’s wrong with this preview of Red Mass by Rosemary Aubert. The fifth and final episode in Aubert's prize-winning series finds once-disgraced Toronto attorney Ellis Portal readmitted to the practice of law. Within moments, a superior court justice is charged with murder, and Ellis is tricked into defending him. Then Ellis faces his own daughter who's prosecuting the case. To ask other readers questions about Red Mass, please sign up. The last in the series of Ellis Portal detective stories. Thoroughly enjoyed it. Reads quickly, and does not disappoint. I loved all the novels in that series! It kept me wanting to read more right till the end. First Sentence: At Michaelmas in the autumn of the year, Canadian judges in black silk robes, red woolen sashes and starched white-linen collar tabs gather like red-winged blackbirds to celebrate the Red Mass. Ellis Portal is clean, sober, reinstated as an attorney and getting his life back on track. While attending the Red Mass, a church service celebrating the opening of the courts, Ellis’ one-time close friend, john Stoughton-Melville, Stow,” is removed from the church in handcuffs. Stow is accused of murdering his fatally ill wife five yours ago and has asked Ellis to defend him but offers no information as to what happened. Ellis’ had loved Stow’s wife and only because of an old promise does he agree to take the case. Aubert is one of the many under-recognized authors and her Ellis Portel series is a great one. The only problem I had with this book is that it is, apparently, the end of the series. Ellis Portal is a great character and part of the attraction to him is his foibles; that he is not perfect and not always likable. The other people in his life are those from when he was a successful judge, his life on the street and his continuing association with the people from that time in his life and those now that he is rebuilding his life. The plot is wonderfully twisty and you feel Ellis’ frustration has he is trying to defend Stow with the end being a surprise. I did have a feeling the author intended there to be another book in this series but, due to a change in publishers, had to switch characters. I understand this from the author’s perspective but it’s a bummer for the reader. Still, I definitely recommend this book and, as usual, suggest reading the series from the beginning. This is the 5th and final book of a series about 'Ellis Portal', a disgraced-but-recovered Canadian barrister. Interesting look at Canadian trials ... but I knew what was going on in the ostensible mystery, even though the protagonist didn't (rather obtusely). The ending was just irritating. That may be because I despise lawyers. Rosemary Aubert, a college friend, has made a wonderful career of writing mysteries. Red Mass follows Ellis Portal through a complicated trial with questions that are unanswered to the end. Rosemary gives a deft combination of the characters, main and secondary, as well as the prison, hospital and court worlds of Toronto. Hope there's many more. Rosemary Aubert, B.A., M.A., C.Cri is the internationally-acclaimed author of the Ellis Portal mystery series. She is the author of five romance novels published around the world and of poems, interviews, articles and reviews over several decades of writing. She has taught workshops from coast to coast in Canada and the United States and is a frequent guest lecturer at colleges, universities, writ Rosemary Aubert, B.A., M.A., C.Cri is the internationally-acclaimed author of the Ellis Portal mystery series. She is the author of five romance novels published around the world and of poems, interviews, articles and reviews over several decades of writing. She has taught workshops from coast to coast in Canada and the United States and is a frequent guest lecturer at colleges, universities, writers' groups and conferences. Rosemary believes that anyone can be a writer if he or she is willing make full use of his or her talent, imagination and ability to work hard.